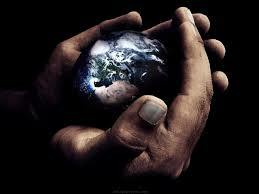 Does God have a purpose for the Earth? JW: The word “Trinity” doesn’t appear in the Bible. JW: This is something humans came up with. KW: Yes, to explain a concept we believe is found in the Bible. 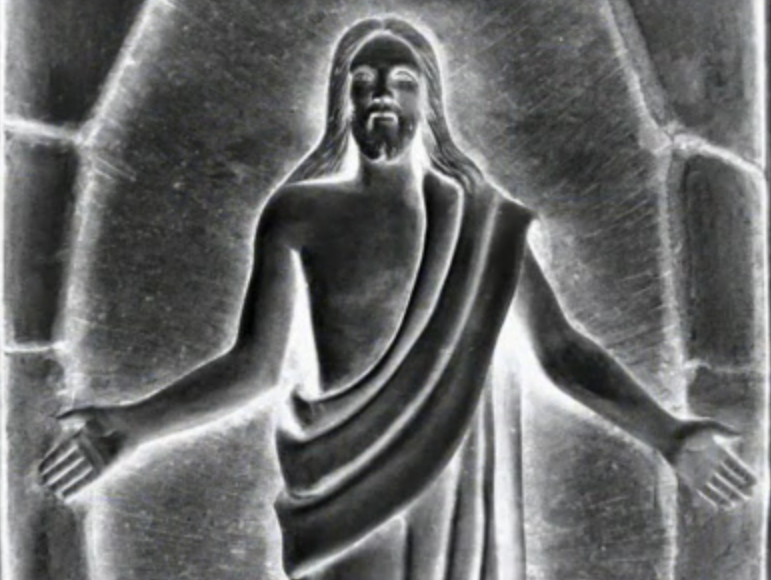 JW: Why didn’t the first Christians believe in a Trinity? KW: (Laughing) Yes, they did. Where do you get the idea that they didn’t? JW: When Paul said that Jesus was resurrected by God shows that they did not believe that Jesus and God are one and the same person. KW: You remember that. We talked about how ties were originally a part of French military uniforms. You are against war and against the military so why are you wearing part of a French military uniform? KW: It is the same thing. JW: No, it’s not the same thing. KW: Sure it is. It is the exact same argument. Just because the origin of something may be less than exemplary doesn’t mean it is the same thing for today. 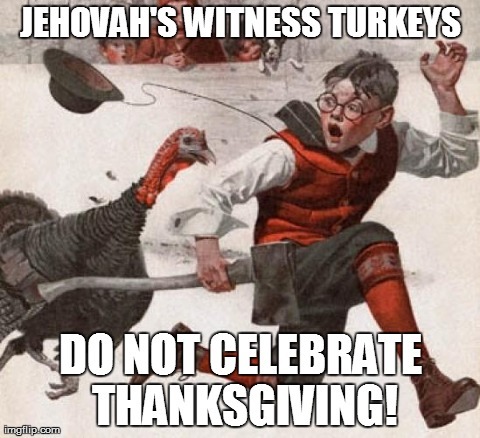 JW: My conscience wouldn’t allow me to participate in any of the holidays because my worship is supposed to be clean and undefiled. I saw my friend’s ugly side and I didn’t like it. He sat in his seat holding his book bag across his chest like a school girl who was afraid to walk down a hallway full of players from the high school football team. JW: You remember the one. KW: The rude guy? Do you really think you are wasting your time? JW: I thought I wasn’t. Faithful are the wounds of a friend, But deceitful are the kisses of an enemy (Proverbs 27:6). KW: I have a question. How can I know the difference between new light and false prophecy? Silence. Except for the crickets, of course. 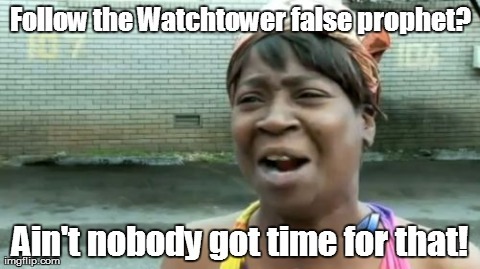 JW: What do you mean by false prophecy? Do you mean in relation to this subject? KW: In general. Do you remember one of our previous conversations when I told you about a friend of mine who belonged to a group which did make false prophecies? What if his leaders claimed to make an adjustment or if they said they had new light? 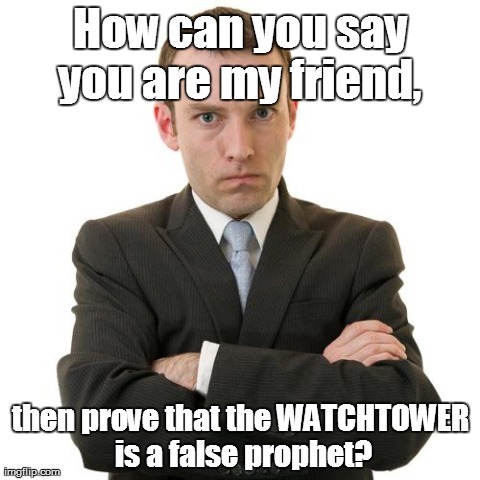 How can I define a false prophet in such a way that he can’t use the excuse of new light?